SPECIAL OFFER - Get Instagram Feed and 50+ Premium Plugins for $100!in One Big Bundle! Is presenting an Instagram feed on your website a headache? Having trouble matching Instagram’s default look with website design? Do you have a hard time finding the perfect Insta plugin? Tired of embedding Insta posts one by one? Select from predefined themes or build your own. Combine Instagram accounts and selected hashtags. Display comments, captions, likes, and profile information. Set the number of displayed images on a page or choose infinite scroll. 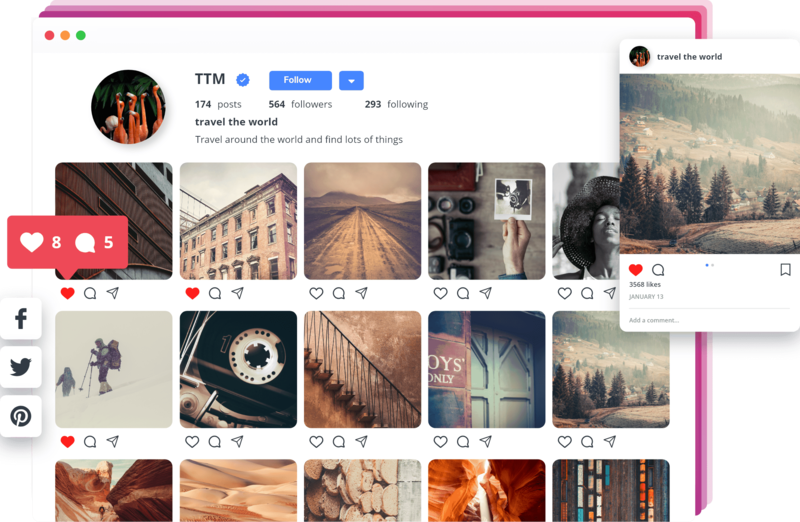 Showcase as many Instagram feeds as you want on a single page. Choose from 4 premium layouts: Thumbnails, Masonry, Blog Style, Image Browser. Let the user download the images from the lightbox or share them in SM. Apply transition effects, display comments and captions. Insert the selected feed into posts and pages in a click.